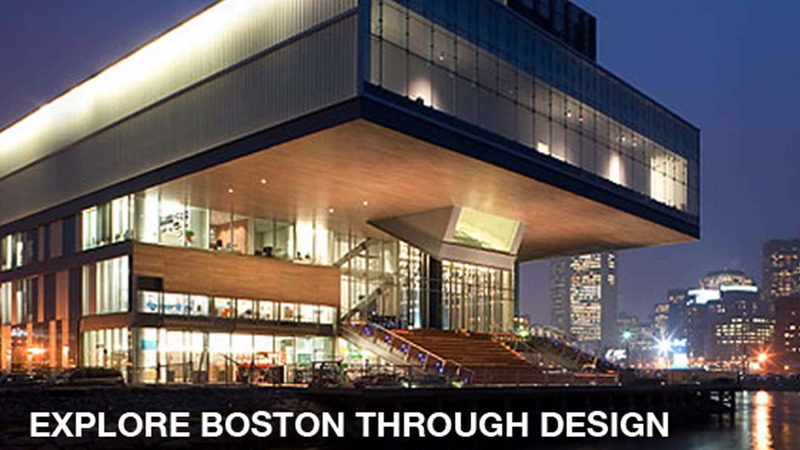 For those of you who are headed to Boston this summer of the 2012 IDSA International Conference be sure to Explore Boston through Design. Below is a short list of must see places, stores and more. During your stay in Boston Massachusetts we want to make sure that you know about all the amazing design offerings our city and state have to offer. We know it is hard to squeeze in exploring while at a conference, but this is a guide to help you fit all the best design sites in between your conference sessions. First, the conference is located in the amazing Fort Point Channel, which enables you to skip over to the Institute of Contemporary Art to see not only art, but the awe inspiring waterfront architecture. If that’s not enough, take a trip down the street to the Boston Design Center, shop for clothing at Louis Boston or for furniture at Machine Age. Then, if you have extra time you could visit an exhibit at one of Boston’s world renowned museums, the Museum of Fine Arts; the Isabella Stewart Gardner Museum; or head down the road to the Boston Society of Architects to see the exhibit “Let’s talk about Bikes”. Are you itching to shop? Head to the Back Bay for a little retail therapy at Bodega and The Tannery. Then head over to Cambridge to Concepts for fashion and Black & Ink for some unexpected necessities in Harvard Square, or Abodeon for some mid-20th century and modern design. Boston also has many options to cure the shopping itch. Looking for more of an adventure? Jump on a bike to explore the city through Boston’s bike share system the Hubway and head over to the Greenway, a mile-long ribbon of parks and green space designed through an extensive public process. Take in the city by boat on the tour, Boston’s first-ever architecture boat tour chronicling the evolution of Boston’s built environment, telling the story through an architecture and neighborhood lens. Boston, Massachusetts has so much to see and do beyond design; family fun, historic site seeing, tours, art and more. Click Here to search for events going on during your stay.